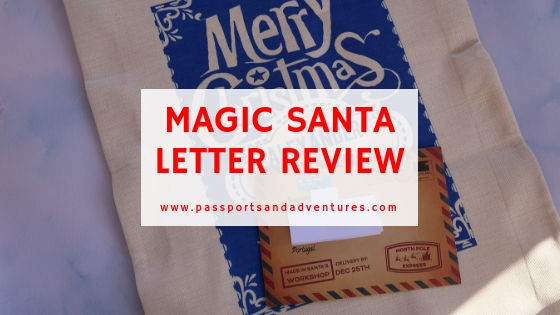 We were kindly invited to review a letter and presents sack from Magic Santa Letter. 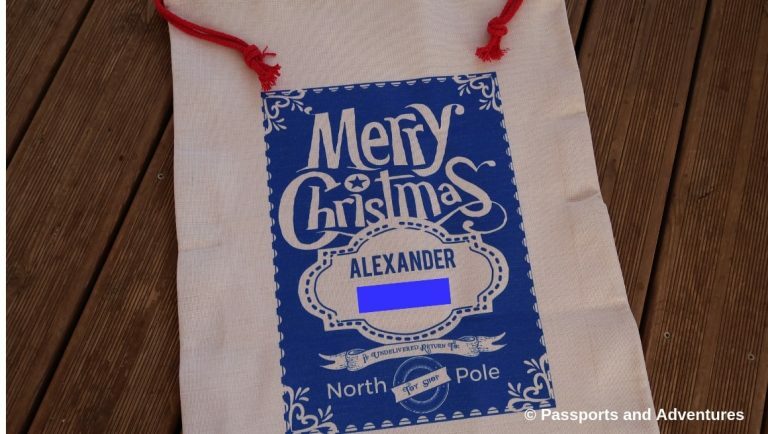 This company produces personalised letters from Santa, along with a range of other gifts. 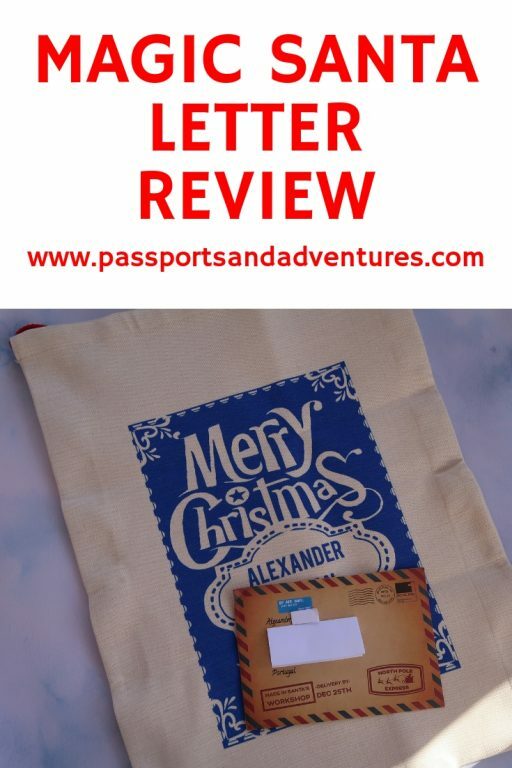 In this Magic Santa Letter Review I tell you what I thought of the letter we received, as well as the personalised presents sack. So, if you’re looking for something a bit special this festive season, read on. Magic Santa Letter is the UK’s most authentic personalised letter from Santa company and work alongside Santa Claus, as he’s a very busy man and needs all the help he can get. Started in 2015 when Santa Claus invited Nicholas and his team to help him out, Magic Santa Letter helps provide authentic letters from Santa to ensure the magic of Christmas is alive and well, especially in the run up to Christmas Day. We were invited to pick a letter of our choice and also a Santa Sack of our choice. I was going to get one of the Christmas letters, but then I spotted something else. 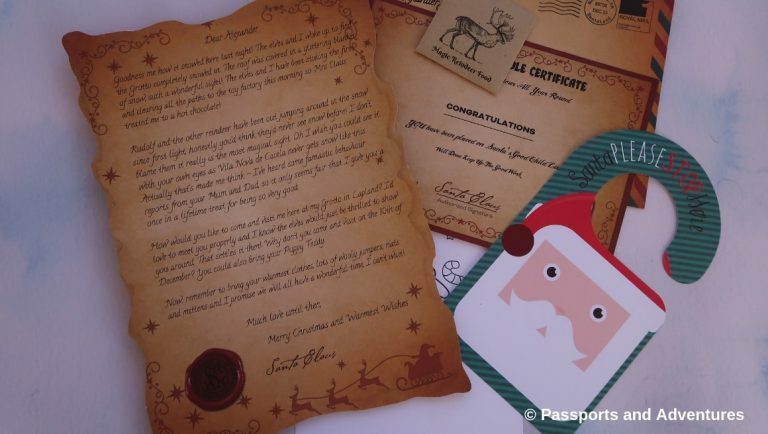 As we are heading to Lapland next week, I asked if we could get the Truly Magical Invitation to Lapland Letter and I was thrilled when Magic Santa Letter agreed. I thought it would be perfect to get a special invitation for our son to visit Santa in Lapland, direct from the special man himself. Now, he has known we are going to visit Santa in Lapland, but I don’t think he really grasped what was going to be happening. Then our Invitation to Lapland letter arrived and he’s slowly getting the message. So much so, he was convinced Santa’s Elves had opened our bathroom window one night when he went in to unexpectedly find the window open. The letter is fully personalised, and you can even tailor it to your family. Whether you are a single parent, mum and dad family, single-sexed couple or even foster parents, you can personalise it however you want. There are more options to make your Magic Santa Letter truly personal including inserting your child’s name, hometown, reference to their friends or toys, presents they want. Your choices are only limited by the design you choose. And best of all you can preview and read each one before making your final choice to ensure you are getting the right one. As mentioned, I chose the Invitation to Lapland letter in which I personalised it to our son’s name, our hometown, Mum and Dad, made reference to his favourite cuddly toy and inserted the date on which we will be visiting Santa in Lapland. The envelope your letter arrives in is also personalised (no letter within a letter job here) and is stamped all the way from the North Pole. 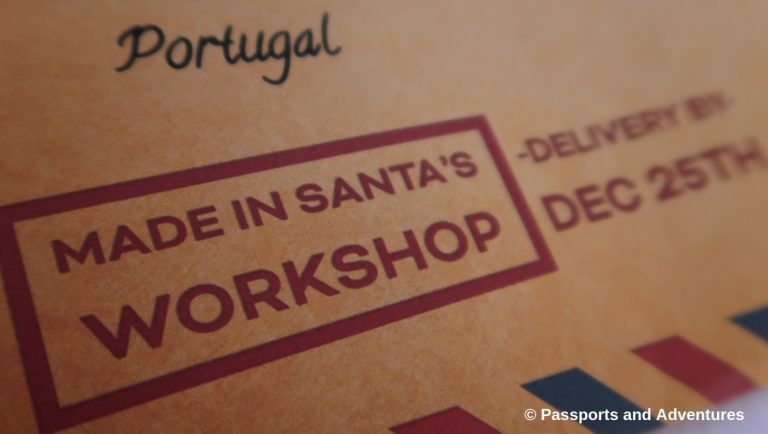 Our letter arrived promptly, all the way to Portugal, and also came with our personalised Santa Sack. I chose the Inari sack in blue and personalised it with our son’s name. One the day the letter and sack arrived I checked the contents (as you do when you are a blogger) and then gave it to our son when he got home from school. He was pretty excited and eager to have the letter read out to him which we duly did. He was also very happy with the Santa Sack and even tried it out for size! We’ve told him he has to remain on his best behaviour or Santa won’t fill it up on Christmas Eve. A huge range of letter designs to choose from. Each letter is truly personalisable, the choices for personalisation are only limited by the design you choose. There are around six places to personalise the letter. Letters are great value-for-money starting from as little as £5.99. You get additional things in the Truly Magical Santa Letter package and it only costs £7.99. Each letter comes in an envelope which is addressed to your child and is stamped from the North Pole, making it feel truly magical. The letter itself is wonderful and is on good quality, thick-cut scroll paper, signed by Santa himself. There is an additional range of gifts to accompany your letter from mugs to the Santa Sacks. There are 10 sacks to choose from, each made of 100% cotton and personalisable too. They are a generous size and heavy-duty too. These letters from the Magic Santa Letter company really are a wonderful way to get some extra magic and sparkle into the festive season for your children. With full personalisation options, and addressed and sent direct to your letterbox, these will only serve to add that extra special bit of something at Christmas for your children. And with a lovely range of additional gifts to accompany your letter, you’ll be hard pushed in making just one or two choices. Our son loved his Magic Santa Letter Invitation to Lapland and we can’t wait to get all packed for Lapland and get on that plane to see the man himself in his official hometown in Rovaniemi. If you’d like more information or would like to see the range of letters available, please visit the Magic Santa Letter website. 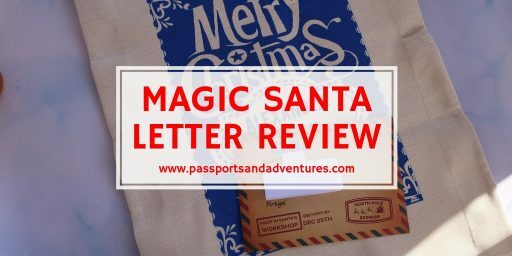 *We were kindly sent a Truly Magic Letter Package (Invitation to Lapland) and a Santa Sack for the purpose of this review. However, as always, these are my own honest thoughts and opinions of the products. This looks excellent – I like that it’s so easy to personalise for different family situations. 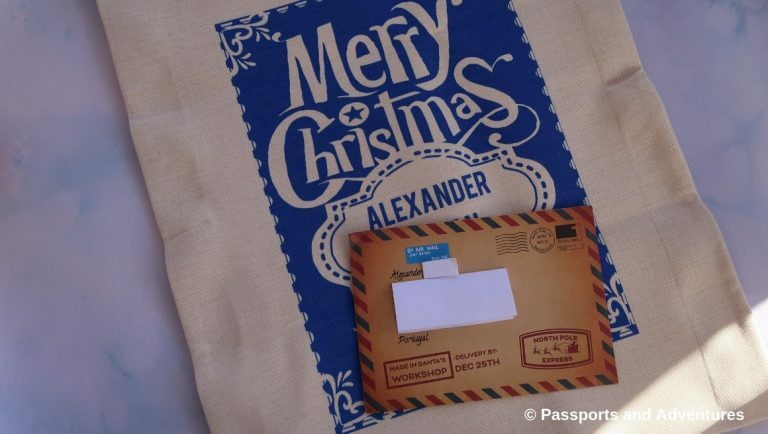 The sack looks really excellent quality too – hope you all have a great time in Lapland. This sounds like a lovely idea. What a great way to make Christmas for children seem that much more magical. e did a video message from Santa a year back and the kids loved it – made them behave to. I wish there was something like Magic Santa Letter when I was young and glad you were able to find a letter most suitable for your upcoming travels. This is such a lovely idea and what a fab way of bringing the magic of Christmas to little ones I know my daughter would love this! These look lovely, I love the addition of the sacks! We always get our personalised Santa letters from the NSPCC. With the money going to charity, it feels like we’re giving back at the same time. What a wonderful way to bring some extra magic to the family Christmas. I especially love that it can be personalised to all family situations. Aww, this looks really special. I think my daughter would love this. These are awesome letters and you get so much more than just a letter. Great that they had a Lapland letter too, how magical.